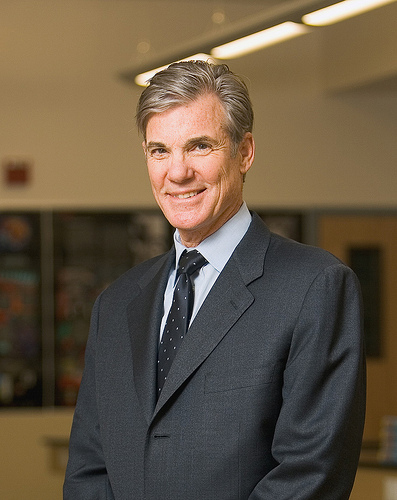 Superintendent Tom Torlakson endorsed Montebello’s School Bond. The Montebello Unified School District bond committee received a major endorsement today from California State Superintendent of Public Instruction, Tom Torlakson. “The real winners in the passing of this bond are the children and students of Montebello Unified School District. With the passing of the bond the district will also qualify for matching funds from the state. I am proud to support Montebello School Board Measure GS,” said Torlakson. Montebello educational leaders will be asking voters to support the new school bond that will improve classroom technology, upgrades to computer and science labs, libraries, career and vocational education programs, leaky roofs, bathrooms, drinking fountains, and plumbing. In addition the bond would also improve earthquake safety standards, fire safety, school security, and repair facilities and school equipment. Upon passage of measure GS, independent performance and financial audits will be performed every year to ensure that the bond proceeds are spent only on district projects, with no money used for administrator’s salaries or pensions. A few weeks ago, Montebello Education leaders announced incredible results in support for a June 7, 2016 School Bond. A recent study conducted by Fairbank, Maslin, Maullin, Metz, & Associates poll revealed 74% support for a $300 million dollar School Bond. For more information regarding the bond, email [email protected] or join them on Facebook at MontebelloSchoolBond2016. Vote Yes on Measure GS for June 7, 2016 election, to contribute contact Ruben Rojas at [email protected] or call (213) 999-8585 to contribute.